Recovering from a workout can be just as important as the workout itself. Sure, you’re muscled and toned, you’re strong and swift, you’re as bulked up or leaned down as you’ve trained to be. Your hard work is paying off. But if you pile too much training on and don’t pay attention to recovery, also, you’re setting yourself up to be sidelined. Exercise tears your muscles down—in a good way. The basics of it are this: when you strain your muscles, you create minor tears in the muscle tissue. As your muscles heal, they build back up, stronger than before. That’s how you gain strength and improve muscle tone. But it’s critically important to give your muscles what they need in order to make these repairs. You need to know how to recover after a workout. Otherwise, you’re a prime target for injury or overtraining. And while recovery techniques are not exactly a quick fix, if you incorporate recovery as a regular component of your training routine, you’re likely to stay healthy, injury-free, and ready to go hard again the next time you workout. Now that you understand why recovering from a workout is important, you’re probably wondering how to recover right. What are some of the best techniques for recovering from a workout? There are plenty of services and gear that can aid recovery, plus some powerful recovery tactics that you can easily do on your own. Here are 11 ways to recover from a workout faster. And by faster, we really mean smarter. Add these techniques to your training routine and you’ll be well-positioned for proper recovery, allowing you to continue doing the workouts you love, day in and day out. Let’s start with sleep. It’s arguably the number one way you can support your muscles in recovering from a workout. And it’s absolutely free. Most adults need anywhere from seven to nine hours, which is when your muscles naturally repair and rebuild with the help of the concentrated anabolic hormones your body secretes at night. If you’re getting less than seven to nine hours nightly and doing hard, heavy training, it’s time to rework your schedule to allow for extra Zs. Protein is the building-block of muscle, and it’s important to ingest enough quality protein to support your muscle growth and repair. Most athletes live by the “magic window” rule, taking care to consume quality protein within a 30-minute window immediately after hard exercise. One study shows that a combination of protein and antioxidant supplements may be ideal for muscle recovery. 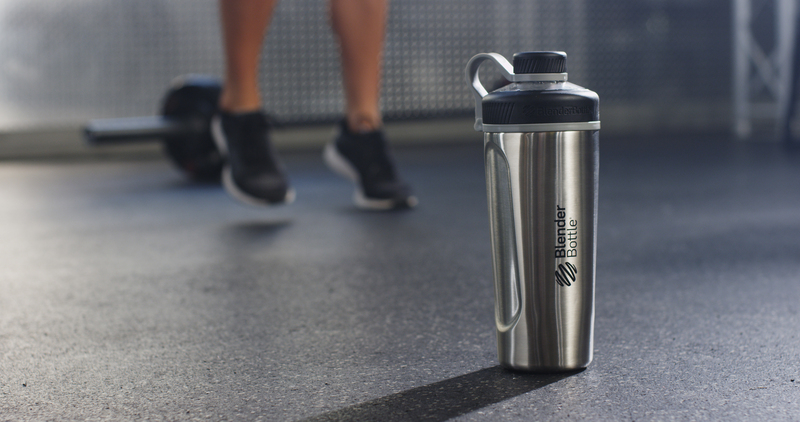 A great way to ensure you have your supplements handy post-workout is to pack them in a BlenderBottle® ProStak® shaker whenever you head to the gym. A healthy diet, packed with nutrients and antioxidants, is extra important when you’re training hard and looking for how to recover after a workout. Reach for quality protein, fresh produce, and whole grains with each meal to keep your body at its best. To reduce inflammation naturally, look to foods known to help the process, such as broccoli, cherries, sweet potatoes, salmon, and ginger. Hydration is important, not only when recovering from a workout, but all the time. Staying hydrated helps flush toxins from your muscles and keeps all your bodily systems performing at their peak. 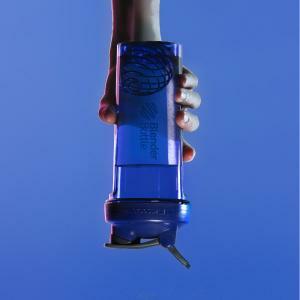 Keep a BlenderBottle® SportMixer® bottle filled with water at your side as a constant reminder to drink. The budget version is to immerse yourself in an ice bath (at home) or cold plunge (at your gym or in a local creek). The luxe version involves a session in a cryotherapy chamber, where your body is quickly and purposefully chilled. Either way, studies like this one show that cold therapy is an excellent way to reduce inflammation and delayed onset muscle soreness (aka DOMS). There’s a great deal of discussion on the effects of compression on muscle recovery and athletic performance. And while there seems to be no direct connection between compression and performance (i.e. wearing compression gear while you workout), the evidence does point to positive results when compression is used to aid recovery. Compression gear includes snug, graduated compression clothing (socks, sleeves, tights, etc.) and automated “pump” boots that alternate from loose to compressed to enhance circulation. Massage is a wonderful way to ease muscle soreness, improve mobility, and increase blood flow and circulation. If it’s within your budget, it’s a wise choice to book regular recovery massage as part of any intensive training plan. Choose a sports massage therapist who understands your training, and thus can recommend the massage techniques that will benefit you most in terms of recovering from workouts. Not rolling in dough? If you can’t invest in regular massage, buy an inexpensive foam roller and you’ll find relief similar to massage that you can do anytime, at home, for free. Roll for 5-10 minutes pre-workout to warm up your muscles and increase mobility. Roll post-workout to lengthen muscle fibers and loosen any tight spots. A foam roller is an ideal DIY tool for recovering from a workout. Schedule active recovery sessions to aid your body in recovering from a workout. Activities like walking, an easy spin on the bike, or a relaxing swim are great ways to stimulate blood flow and increase circulation to your muscles, without pushing yourself too hard, too soon. Along the lines of active recovery, but with more intensity allowed, cross-training can be an ideal option to help balance your training load. Rather than devote all of your exercise time to a single discipline, mix things up. If you’re a runner, for example, try cycling to engage different muscles. You’ll get a great workout, but still be fresh enough to return to running the next day. Chronic stress takes a huge toll on one’s health, and most of us seem to have too much stress in our lives. Whether it’s from work, relationships, family matters, financial worries, or poor sleep, stress has a way of sneaking in. Do what you can to limit your stress—either by changing a stressful element in your life, or by balancing it with stress-relieving activities like yoga or meditation. This will help your overall happiness and enhance your body’s ability to recover. Do you already incorporate recovery into your training plan? What are some of the ways you’ve found to recover from a workout faster or better? We’d love to hear what works for you. Share your best advice in the comments below.